This showcases the act of moving the goalposts. The original intent of the argument shifted rather crudely, in light of new evidence, to somehow preserve the sanctity of the claim. Children aren’t the only who do this, of course. It happens to us childish adults, too, whenever we maintain a stubborn attachment to our own faulty statements. Why do we maintain this attachment? Because we hate to lose. It happens elsewhere, too. In sports, people have occasionally been known to actually, physically, move the goalposts. A favorite example is the hockey goaltender David Leggio. He did this on multiple occasions. Here’s video of the first instance in a minor league game between the Bridgeport Sound Tigers and the Springfield Falcons in 2014: video link. The situation involved a turnover that lead to a 2-on-0 matchup, meaning two offensive players attacking the goal with only Leggio to protect it. This is probably the hardest situation a goaltender can face. So one could argue that Leggio’s tactic was ingenious. Rather than protect the goal, he just move it off the pegs! Here. 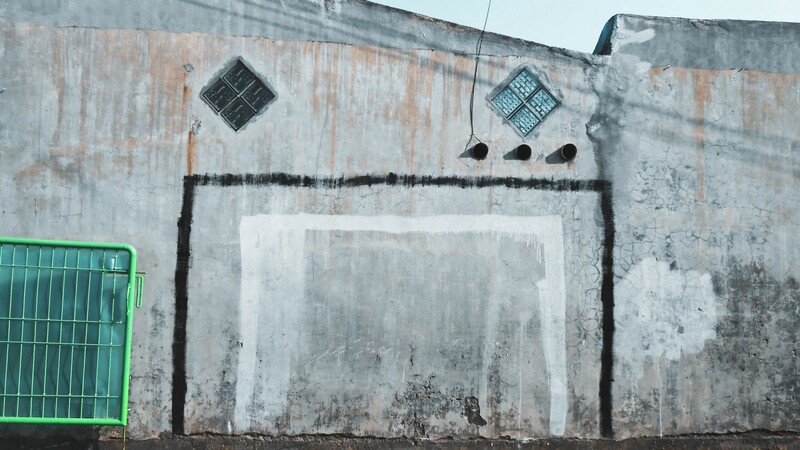 Now nobody can score. He did this on multiple occasions. In multiple countries. It eventually led to a rule change that still carries his name. The reason to do this seems obvious. In one sense, this was a clever exploitation of the rules. All in the name of preserving his team’s chances. But it violates every moral sense of fairness and ignores the true spirit of the game. This is equivalent to a cardinal sin in such a deeply traditional sport as hockey. And he also did it, I think, because he was scared. Even when its explained as some altruistic thing (I’m doing everything I can to help my team win! ), it still feels cowardly. So yeah, this kind of behavior is wrong. For all the right reasons. But we take this attitude a little too far. Physical goals, as constructed on sports fields, and literal definitions, as used in conversational debates, should be fixed. Certainly. But our figurative goals that we use to achieve a “win” can, and should, be made of looser stuff. If you set a crazy, ambitious goal and miss it, you’ll still achieve something remarkable. So moonshots all the way! Aim for a really crazy goal. This works for some people. It doesn’t work for others. And I think a lot of the difficulty comes back to our preconditioned attitude to games and fallacies and literal, physical goals on an actual field of play. When we miss a goal of any kind, especially the ambitious ones we might tell others about, we feel loss and embarrassment. We feel like a failure. Plus, a lot of this “aim high” stuff is really just another form of what’s called the planning fallacy. Or what might also be called The Triumph Of Hope Over Experience. In a vast array of situations, this fallacy appears once we replace our most probable outcome with the one we most desire. So when someone says “I’m going to lose 20 pounds,” they are stating a goal. But this goal is more accurately described as a statement of hope. A low probability hope at that. It is not a statement of fact. The real problem emerges when this statement of hope becomes the sole condition for success. Imagine if this aspirant “only” loses 15 pounds or even 19.5 pounds instead of 20. More often than not, they will feel disappointed. As if such a change weren’t an incredible achievement. It happens to us all. Particularly with these very specific goals. And as someone who writes a lot about the deep power of specific-yet-simple goals, I understand how a single number can spark enormous change. In the case of the weight-loss effort, that single number — 20 pounds — is someone’s Mount Everest. It can trigger summit fever really fast. So what should we do? Stop using specific goals? SMART goals? Stop aiming high? Allow ourselves to slip into the ease of unambitious contentment? Let’s consider the underlying motivations. This can be easily done with the Five Whys exercise. In the weight-loss situation, why does a person want to lose weight? To be attractive? Why does losing weight make them attractive? Can they be attractive by other means? You get the idea. This exploration might seem nauseating but it gets to the reality of desire. There are two major aspects of desire that we should all recognize. First is what’s known as the intrinsic desires we crave, such as feeling attractive. Everyone wants this, likely as not. It isn’t the goal, per se, but it is the general desire. The goal, especially the specific numerical goal, is the instrumental desire that presumably gets you to the intrinsic desire you pursue. This is important because the act of losing 20 pounds is simply the instrument by which the weight-loss aspirant presumably gets what they really want: that feeling they wish to have of themselves. When we fixate on the instrumental desire, we tend to ignore the intrinsic one. This is something covered in William Irvine’s excellent book On Desire. The book review is here. But when we keep our intrinsic desire top-of-mind, embracing its general nature amidst the specificity of an instrumental goal, we can find a fantastic level of clarity and flexibility that makes our efforts more resilient. This mixture of a specific measure co-existing with a clear-yet-general motivation is where the great opportunity exists to do things that are not only impressive but actually enjoyable. This gets to something I deeply appreciate from the book Lean Analytics. You’d think an analytics book would champion the use of rigid, hyper-specific goals that pull performance to such great heights. And that is certainly an idea in the book. But our authors, Alistair Croll and Benjamin Yoskovitz, are more nuanced than that. Which is why the book is so outstanding. They make an important distinction in the goals we create. There are late goals, meaning goals that we form after a lengthy period of performance (e.g., sales goals based on a one-year track record), but there are early goals, too. Early goals are not necessarily relative to a specific phase of a business. Early goals can come at any time you try something new. Especially new endeavors that have no priors on which to calibrate your goals. As examined in our coverage of Bayes rule, estimation is hard without priors. When picking a goal early on, you’re drawing a line in the sand, not carving it in stone. You’re chasing a moving target because you really don’t know how to define success. That last part is so vital. We think we know how to define success but we really don’t. We’re dancing with uncertainty. And whether or not we realize it, the goals we’re trying to chase are going to move. If not by our hand, based on what we feel, then by mere reality itself and the limits we uncover. Adjusting your goals and how you define your key metrics is acceptable provided that you’re being honest with yourself, recognizing the change this means for your business, and not just lowering expectations so that you can keep going in spite of the evidence. That last part about how we stubbornly “keep going in spite of evidence” has to do with the delusional nature of vanity metrics. When we chase such numbers, as explained in yesterday’s post about empty metrics, we do so to keep up appearances. Hence the use of the term “vanity.” And vanity is often why we feel compelled to never move our goalposts in the first place. I told everyone I was going to lose 20 pounds. But I only lost 19. I’m a failure. It only feels that way when other people are watching and we’ve mistaken what the real effort was all about. When you set small, visible goals and people achieve them they start to get into their heads that they can succeed. They break the habit of losing and begin to get into the habit of winning. — Bill Parcells. The key here is that the small goals seldom remain as small goalposts. They are responsive. They grow. They turn into ever-larger goalposts over time. They ratchet up. To borrow the phrase from our Lean Analytics authors, these responsive goals are the “lines in the sand” that move further and further out once our teams cross them. This article is written, however, to illustrate that these lines can not only be drawn further away as the team gets closer. These lines can also be drawn closer in. In other words, sometimes the best thing to do is shrink the change. Lower the bar if necessary. But not for the sake of getting over it. So lower the metric for the sake of changing behavior. Do it for the sake of your intrinsic goal. It’s okay. Really. Because whatever you’re striving for, I’m pretty sure it ain’t hockey. Just remember there are still rules and a “spirit of the game” to which we must stay true. What is the spirit of the game? For better or worse, you are the only one who can define that. When you have that definition, these goals, these measures, these analytics, can work for you. Wherever and however you decide to place them.